This is a unique variant of the popular game. In this variant, the players can trade the cards between the hands. In regular games, this is pure cheating but with Switch, this is allowed. If the switch is to be done, 2 identical bets must be made and then take the second card that was dealt on each hand and switch. There is advantage for the player but more for the casino since in this case; the dealer cannot be busted even if the car value is 22. This means the 22 is a push. The blackjack can only pay even money. Here is a sample scenario. You get a 5 as well as a king on your left. On the right, you get 10 and 6. You can exchange King and 6 so it means the cards of the player are in better position than before. 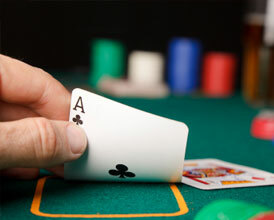 The switch can be used to increase advantage but the dealer also has some advantage since the dealer can go overboard to 22 and if he gets 22, the bets are pushed unless, if the player has a blackjack where he will win. If the player gets 22, that is a bust. The game of switch is pretty much the same as the blackjack consisting of 6 decks and the decks are shuffled every round. There are minor changes on the rules like the blackjack gets 1:1 pay than 3:2. This is because it is so much easier to make 21 in this variant. The same with the traditional game, the dealer has to hit on soft 17. Splitting as well as doubling down is allowed. If the players want to split after doubling, they can do so. But they can only split once so you have to really think about your moves.